One of the major arguments that feminists use to impose abortion upon our country is that women, especially poor women, are going to get abortions anyway. By providing “safe” facilities to these poor women, we can prevent them from resorting to shady back alley abortion doctors, persons lacking the necessary skills, or environments lacking minimal medical standards. Such operations, they claim, were often botched and lead to the death, not only of the babies, but countless women. It may be true that legal abortion may have managed to diminish the wildly inflated incidence of back alley abortion in America. However, this fact has exposed women, especially poor women, to a much more grave danger: the front alley abortion. As bad as the back alley abortion is, the front alley abortion is much worse. 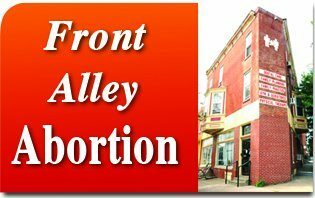 Front alley abortions are those legal abortion mills that operate normally and are open to the public. They have all the appearances of a legitimate business. They may even have nice sounding names like Woman’s Medical Society or similar misnomers. These establishments have all the protection of the government since abortion enjoys legal protection under law. They also have the slavish support of liberals and media who see these mills as essential to “reproductive rights.” Government regulating agencies seem to be more interested in tanning salons than what goes on inside these abortion mills. The appearance of these clinics in the front part of the alley, and not the back, gives them all the appearance of respectability. Protected by the veneer of this respectability and the force of law, some operators have used these fronts as a shield allowing them to commit the most horrible acts with impunity. What goes on behind the closed doors of these front alley clinics can go far beyond anything in the back alley. Of course, the most obvious case is what is now called Gosset’s House of Horrors, alias Women’s Medical Society, a clinic operated in West Philadelphia by Kermit B. Gosnell, M.D. According to the District Attorney’s report, Gosnell staffed his decrepit and unsanitary clinic entirely with unlicensed personnel, let them practice medicine on unsuspecting patients, unsupervised, and directed them to heavily drug patients in his absence. In addition, he regularly performed abortions beyond the 24-week limit prescribed by law. As a result, when viable babies were born, Gosnell killed them by plunging scissors into their spinal cords. He taught his staff to do the same. Meanwhile, government regulatory agencies turned a blind eye to blatant violations of health codes and practices. 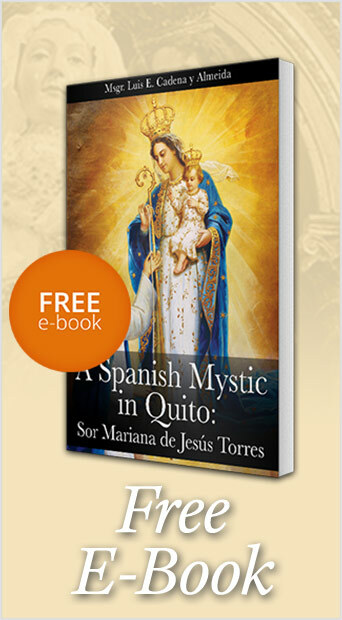 Yet it seems Gosnell’s case is not the only one. Other houses of horror have been found. While most do not reach the point of Gosnell’s “House of Horrors,”the blatant disregard for any kind of standards seems to be a typical or systemic characteristic of front alley abortion mills. Indeed, violations of health regulations rules seem to be a common occurrence – and government failure to enforce the regulations as well. Consent laws are often circumvented by operators who secure abortions for minors. As the recent sting operations against Planned Parenthood have shown, many employees appear to have adopted the policy of failing to report abuse to the authorities. Many abortion doctors seem to have a hard time holding on to their licenses – and some workers never had them in the first place. Just recently, the Texas Medical Board, for example, received complaints about the medical practices of twelve Texas abortion providers, called the “Dirty Dozen” by a pro-life watchdog group who claim to have documented violation of state and federal abortion laws. These front alley clinics were chosen at random and pro-life activists say that they found mishandling of private patient medical records, violations of consent laws, violations of the 24-hour waiting period required by law, improper disposal of biohazardous medical waste, the counseling of minors on how to flout parental notification laws, and more. That is to say, behind the shield of the front alley abortion clinic some of the most horrific things still take place. Yet it is not surprising. The nature of the business of abortion is such that it brutalizes human sensibilities. In this sense, every abortion, front or back alley, is a tragic denial of our humanity and will lead to that which is inhuman.